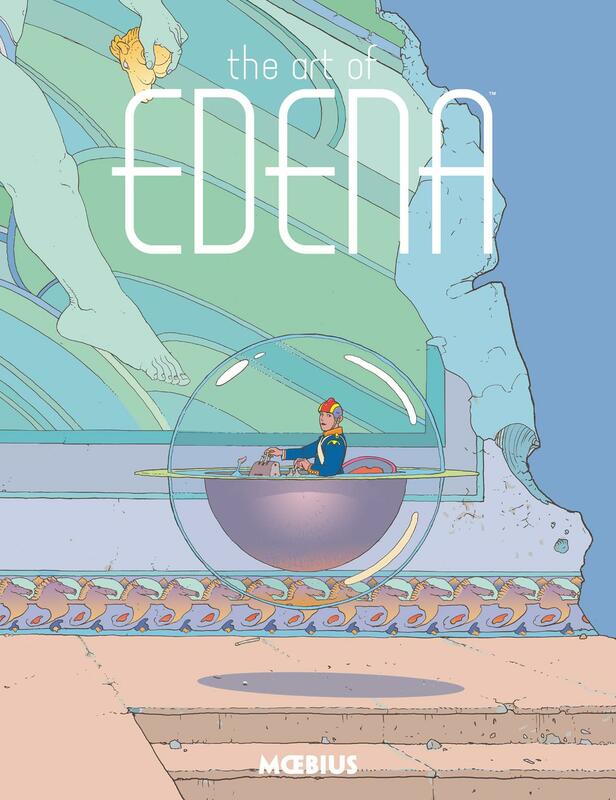 Dark Horse Comics recently announced its sequel to the acclaimed graphic novel Moebius Library: The World of Edena, with Moebius Library: The Art of Edena. Moebius Library: The Art of Edena will feature original illustrated work from the legendary visual storyteller in four Edena-related short stories and a large variety of extra illustrations. Shorts stories in Moebius’s Edena universe will include “Seeing Naples,” “Another Planet,” “The Repairmen,” and “Dying to See Naples,” where Moebius explores his imagination with two favorite characters, Stel and Atan. The second volume of the Dark Horse Moebius Library resulted from collaboration with Moebius Production, in France. Its material has never before officially been released to American audiences. Its format will be in full-color, as a 8 x 10–inch hardcover, translated to English. The Moebius Library: The Art of Edena will be available in bookstores on October 3, 2017. The first volume, Moebius Library: The World of Edena is available now through retail bookstores everywhere.